If you are a public sector organisation with a requirement for web development services, our inhouse design and development team can provide cost effective solutions for you. With over 25 years’ experience of developing web solutions for the public sector we are well equipped to meet your needs - from the initial requirements specification stage through to testing and launch. Whether you are looking for a website, web application, online process management or tracking system, we have the expertise. Have a look at some of our recent developments. The Glasgow Guarantee, launched in September 2015, is the biggest programme of its kind in the UK. A legacy of the Commonwealth Games, the £50 million programme offers a commitment that all sectors in the city will work together to ensure that the citizens of Glasgow are assisted into employment and training. integration of the Secure Your Future directory. 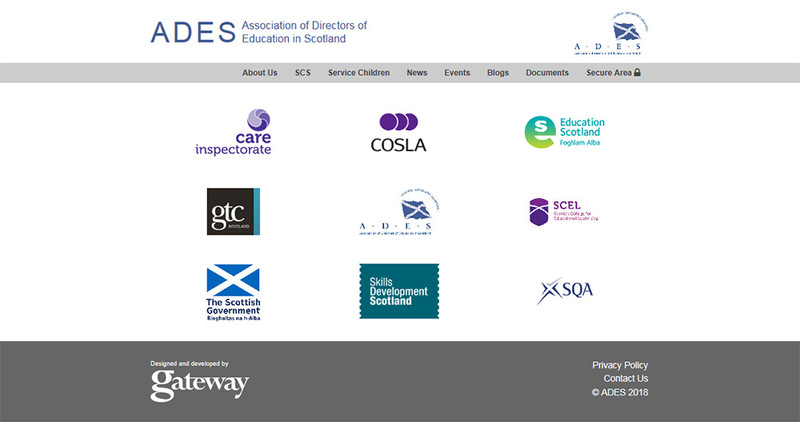 The Association of Directors of Education in Scotland (ADES), an independent professional network for leaders and managers in education and children’s services, commissioned us to develop and design their new website. The main aim was to enable ADES members and other site users to share and access up to date and relevant information. a blog, for more informal communication with members and users. 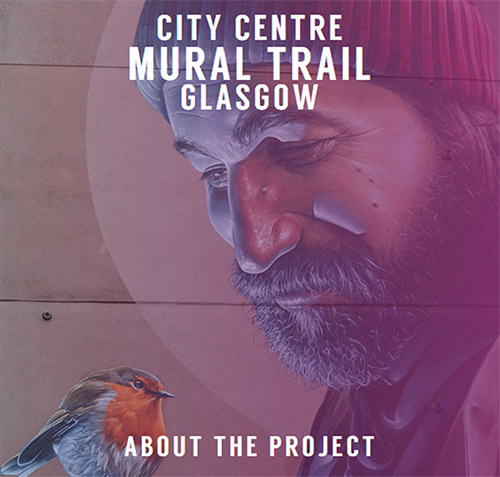 The Glasgow City Centre Mural Trail showcases unique pieces of art by local artists, which add splashes of colour on streets and buildings within walking distance of the city centre. 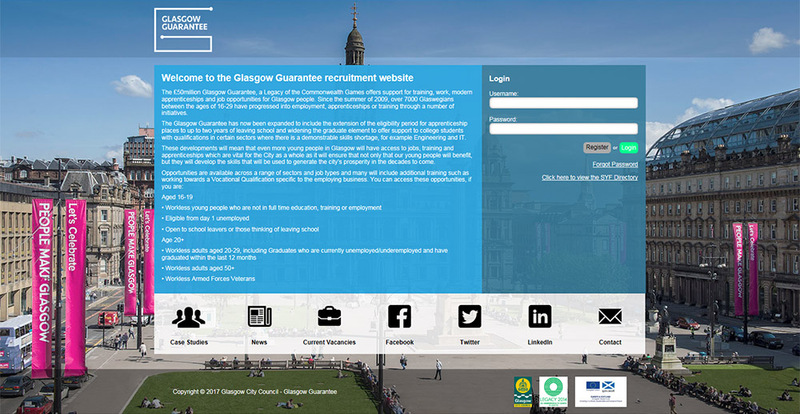 To provide information on visiting the trail, Glasgow City Council’s Graphics Team designed a site layout, which we developed into a mobile responsive website with content management system. anonymous recording of visits via the interactive maps, triggered by close proximity to a mural. Developed initially for Glasgow City Council, and now also used by Renfrewshire Council, this online system allows production companies, head teachers and parents to complete and submit applications for children’s entertainment licences electronically, eliminating paperwork and streamlining the process for all parties. Since moving over to the website from our paper based system it has become much easier to process applications especially without having to have parents and production companies bringing or posting paper copies. 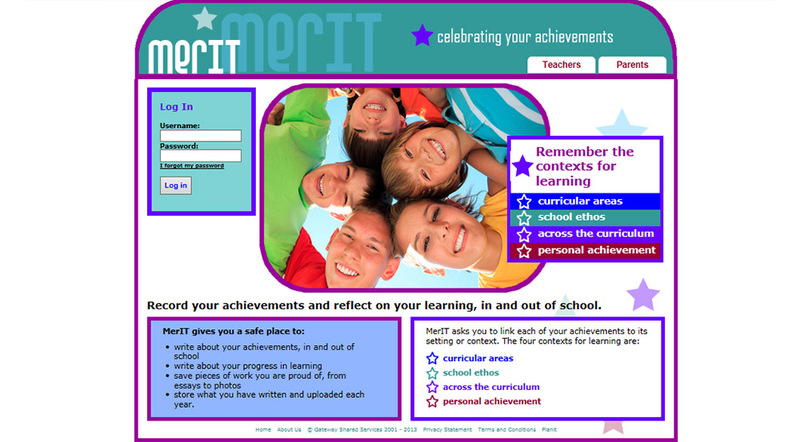 store examples of their achievements and get online feedback from their teachers. FOCUS was developed in collaboration with colleagues from Glasgow City Council Corporate Graphics Team and Education Services as an interactive tool for schools to access and interrogate holistic data across the BGE (broad general education) to support Glasgow’s Improvement Challenge (GIC) 2015-2020 which includes the government’s Scottish Attainment Challenge. FOCUS is a web based interactive tool for schools that helps them examine pupil achievement of CfE (Curriculum for Excellence) levels through a number of lenses. This includes EAL (English as an additional language), ethnicity, deprivation (Social Index of Multiple Deprivation) and other appropriate lenses.